The Nantucket Project is a new ‘ideas conference’ that has a refreshing take on the inspirational concept. The inaugural Nantucket Project conference will take place at the White Elephant hotel on Nantucket Island Friday, September 30 through Sunday, October 2nd, and will feature a unique format designed to promote heightened engagement. The Nantucket Project’s inaugural theme is Re-Think. Over the course of the weekend 350 participants will be encouraged to re-think the status quo and explore change through talks led by eminent and accomplished visionaries, thinkers, business leaders and innovators. Topics will span from economics and medical science to sustainability and globalism. A distinguishing hallmark of the Nantucket Project is the program’s dedication to creating an intimate participant experience. All participants will experience the exact same program, with scheduling designed to eliminate competing presentations in favor of fostering a cohesive collective conversation. Innovative hospitality, entertainment and creative performances will keep participants engaged and leave them inspired. Weekend passes start at $3200 per person, and include access to all Nantucket Project sessions and event meals. 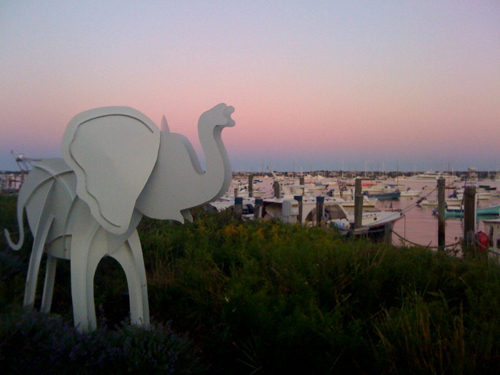 Special nightly rates at the White Elephant start at $365 per night for Nantucket Project ticket holders. Created in partnership with Big Think, a global knowledge forum that creates significant, relevant and actionable content from its over 3000 leading experts, the Nantucket Project intends to become an annual event on Nantucket with the goal of expanding into a permanent Institute based on Nantucket. Nantucket Island, one of the most storied destinations in the United States, is the home of the Nantucket Project. The White Elephant hotel, set on Nantucket’s Brant Point and steps from historic downtown, will serve as the epicenter of programming and hospitality for the Nantucket Project during the event weekend. Special nightly rates at the White Elephant Hotel range from $365 per night for a guestroom to $990 per night for a three-bedroom cottage. 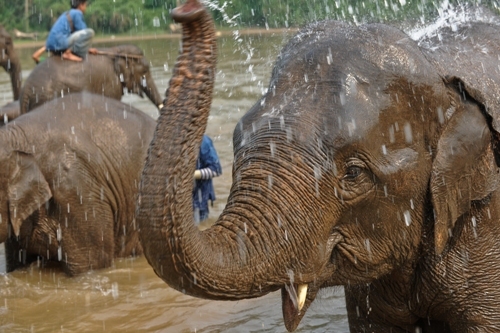 The rate is valid for stays from September 30 – October 2 and a two-night minimum stay is required. Several individuals concerned about diversifying and sustaining Nantucket’s economy and offerings year-round came together to create the Nantucket Project. The project is co-founded by Tom Scott, founder of Nantucket Nectars, Plum Television, and Kate Brosnan, General Manager & Host of Plum Television, Nantucket. Prominent business and civic leaders on local, national and international levels have joined the Nantucket Project’s Founding Circle including: Bob Diamond (Chief Executive, Barclays), Jennifer Diamond, Steve Karp (Chief Executive Officer, New England Development), Jill Karp, Tim Mullen, Alicia Cannon Mullen, Wendy Schmidt, Emily Scott and Tom Bresette. These founding circle members have provided seed capital, direction and/or advisory guidance. Bob Wright, Suzanne Wright, Judy Seinfeld, Jim Broder, Maureen Hackett, Bob Nolan, Getty Rothenberg, Sean Moran, Gregg Renfrew, Tyler Wolfram, Brian O’Callahan, Bob Lord, Jim Lasko, Iain Shovlin are members of the advisory board to the Nantucket Project. Limited to just 350 participants, individuals attending the Nantucket Project will bring a variety of perspectives to bear on the issues raised as the group’s make up ranges from entrepreneurs to corporate executives to educators to leaders of companies and of non-profit organizations. Individuals who have registered during the Project’s advance registration period are designated Founding Participants, which affords them priority participation status for future Nantucket Project events. The Nantucket Project Fellows program has been created to help subsidize attendance and participation in the event for individuals who could not otherwise financially afford to participate. Several organizations and individuals have endowed fellowship positions including the Inquirer & Mirror, Judy Seinfeld, Bob & Jennifer Diamond, Tim & Alicia Cannon Mullen and Tom & Emily Scott. Event partners and sponsors for the inaugural year include Bing, Bloomberg media, Inquirer & Mirror, Nantucket Today, Plum media and the White Elephant Hotel/Nantucket Island Resorts. Detailed information on the event, including registration and program schedules is available at www.nantucketproject.com. 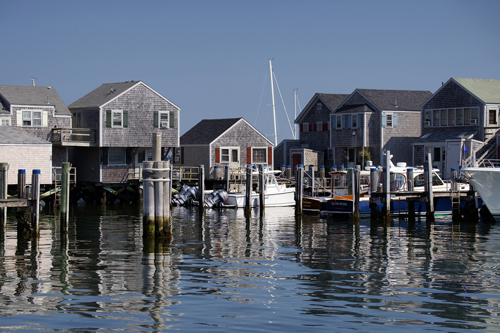 Based on Nantucket, Massachusetts, the Nantucket Project is the Island’s first ideas conference. Several years in the making, the event is co-founded by Tom Scott & Kate Brosnan. Launching in September is the Nantucket Project’s first program weekend at the White Elephant Hotel from Friday September 30 to Sunday October 2nd. For more information about the Nantucket Project, visit www.nantucketproject.com. Who doesn’t want that inherently French, effortlessly slim look? La Réserve Ramatuelle has the best way to maintain that swimsuit-ready figure you worked so hard to attain without fasting or quick-stepping through tires. The très français boot camp will have two sessions in September and October. Set just outside of St. Tropez, La Réserve Ramatuelle is surrounded by quintessential Cote d’Azur scenery and nearly 360 degree views of the Mediterranean Sea – a great spot for hikes through the Cyprus trees and olive groves. While strenuous, this boot camp is hardly roughing it, chéries! Walks through the Mediterranean countryside, spa treatments, and delicious (and healthy) local flavors cooked up by Chef Eric Canino will have you feeling svelte, not spent. Designed for groups of 4-8 people, it’s a great excuse to bring along some friends. The Boot Camp is a five-day (four-night) program. Guests start with a medical assessment to measure physical aptitude. The next day, training kicks off with an hour-long yoga session and healthy breakfast before a guide leads a fast-paced walk through the hills and along the coast. While sure to get hearts pumping, the duration and pace of these walks is determined on an individual basis. After the walks, guests can relax for the rest of the day, enjoying a healing and rejuvenating spa program that includes balneotherapy, body wraps, and the La Réserve Better Aging body treatment. (This detoxifying, slimming, and draining treatment enables cellular regeneration while eliminating blockages and tensions in the body.) Guests can also add à la carte experiences such as beauty and body therapies exclusively crafted for La Réserve by La Mer. Rates include accommodations in a Deluxe room and full board. Prices are per person based on single occupancy. Boot Camp program not including accommodations cost €2700 per person for the five day program. We’ve all daydreamed about striking it rich with that pot of gold, and now it looks like there is a chance to live out our Captain Jack Sparrow fantasies in none other than the City Different! 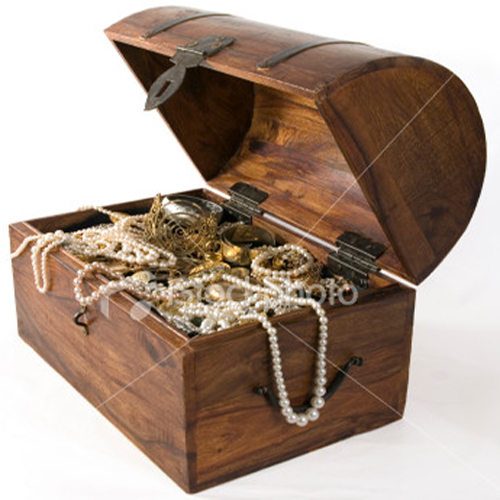 After being diagnosed with what he thought was fatal cancer in 1998, Forrest Fenn, a famous Santa Fe art dealer, claims to have hidden a chest full of loot, $2 million to be exact, in the sands of the New Mexican desert. Instead of using an old-fashioned map to lead treasure hunters to the X, Fenn published a memoir titled The Thrill of the Chase that supposedly contains all of the clues needed to find his desert fortune. It just so happens that Santa Fe’s treasured small hotel, the Inn on the Alameda, is the perfect place to plant one’s self when searching for Santa Fe’s hidden cache! Nestled in the heart of the city, there is no better spot for taking advantage of all of Santa Fe’s cultural charms while chasing down those clues. After a long day of fortune hunting, the Inn is a great place to relax and rejuvenate, and we promise that a stay at Inn on the Alameda is a treasure within itself! The Inn on the Alameda is turning twenty-six, and Santa Fe’s most popular and charming hotel is celebrating by offering a special anniversary rate. Travelers can join in on the birthday fun and explore the alluring city of Santa Fe during a truly spectacular time of the year. Guests who stay at the Inn for three consecutive nights between October 30 and December 12 will pay just $26 for the third night! The celebratory rate, dwindling off-season crowds, and the City Different’s year-round charm make a winter getaway to the Inn on the Alameda a must. Located in the heart of Old Santa Fe, nestled between the historic Santa Fe Plaza and Canyon Road Art Galleries, there is not a better spot in town for taking advantage of the endless excitement. While culture enthusiasts will love gallery hopping on Canyon Road and museum exploring at the Museum Hill complex, outdoor enthusiasts will enjoy snow-shoeing at Hyde Park and hiking at Tent Rocks. To get in the holiday spirit, travelers can attend a festive Santa Fe Desert Chorale winter concert or check out the shops of the historic Santa Fe Plaza area to pick up a one of a kind gift. 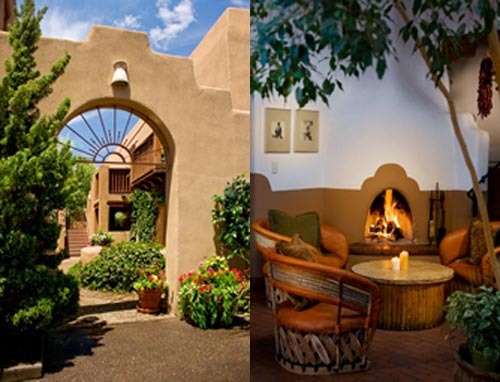 With something for everyone, travelers should start planning their visit to Santa Fe now for the Inn on the Alameda’s birthday celebration! Available between October 30-December 12, the “26 and counting” package includes: Three nights welcoming accommodations in a variety of room types, daily “breakfast of enchantment” buffet and afternoon wine and cheese reception, complimentary parking, free Wi-Fi in guestrooms and public rooms, and local and toll-free telephone calls at no charge. **Excludes these dates (11/23-26; 11/30-12/5). The rate is based on a three-consecutive-night stay, single or double occupancy, and is subject to availability. The package price ranges from $336 to $716, depending on rates and room types. State and local taxes are not included. The special rate does not apply to existing packages and cannot be combined with other offers, nor does it apply to groups reserving more than five rooms. For package reservations, call directly (1-888-984-2122) as this special rate cannot be booked on-line. To see what is happening in Santa Fe, visit www.santafe.org. While officially launching January, 2012, this September the Park Hyatt hotel brand begins the transformation of its acclaimed Masters of Food & Wine event into the new Park Hyatt ‘masters’, a global series of seasonally- and locally-inspired culinary weekend workshops that will take place four times per year at the change of the seasons. Through engaging and interactive programming, both resident and visiting gourmands and oenophiles can become ‘masters’ of regional cuisine. The new Park Hyatt ‘masters’ will preview its fresh philosophy and lighter programming across 19 Park Hyatt hotels internationally during the weekend of September 23, 2011. The official launch of Park Hyatt masters in January 2012, and all future quarterly Park Hyatt masters programs, will take place on the same date at all Park Hyatt hotels worldwide. Park Hyatt Zurich will host a Swiss grape harvest, a workshop on Switzerland’s female winemakers, and a boat trip across Lake Zurich to a winery for a bottling lesson and picnic. Park Hyatt Aviara Resort in Southern California will start the day with a farmer’s breakfast, then a visit Carlsbad Aquafarm where participants will meet the resort’s seafood purveyor, followed by a local wine and cheese tasting. Park Hyatt Mendoza will host an interactive cooking class with special recipes created for it based on a signature olive oil produced in a nearby grove exclusively for the hotel’s restaurant. Park Hyatt Maldives will take guests by boat to a nearby island to meet a local grower and after selecting ingredients, they will head back to the resort, first stopping to fish for their dinner in the waters surrounding Hadahaa Island. The day concludes with a chef-led cooking class on traditional Maldivian cuisine using the fresh ingredients collected that day. The quarterly Park Hyatt masters events will take place around the turn of each season on the weekends of January 13-15, March 23-25, June 24-26 and September 21-23, 2012. All classes will be limited in size to ensure maximum interaction for each master-to-be, which, depending on the property, will be between eight and 25 guests. Participating guests will be provided with recipes and/or tasting notes associated with their experience, and photos and videos of Park Hyatt masters demonstrations will be shared with the Park Hyatt masters community on the brand’s Facebook page – facebook.com/parkhyatt. Workshop itineraries and pricing will vary from place to place and will be available to reserve directly through each hotel’s concierge. Beginning August 1, more details about the global program, the calendar of events, pricing and additions to participating properties will be available at www.mastersfoodandwine.com. For the month of October, all Nantucket Island Resorts properties will be donating $1 from every room night bought to the Marla Ceely Lamb Fund, a local charity that helps Nantucket residents suffering from cancer defray the costs of transportation and lodging for patients who must travel off-island for cancer treatment. In addition, guests booking a stay during the weekend of October 14-16 will have the opportunity to participate on the Nantucket Island Resorts-sponsored team during Nantucket’s Making Strides against Breast Cancer Walk on Sunday, October 16 2011. Nantucket Island Resorts has committed to a $1000 donation for the Breast Cancer Walk. Those who join the team will receive a complimentary team tee-shirt. The White Elephant, one of Nantucket Island Resorts hotels, is also celebrating Breast Cancer Awareness Month by offering a special pink White Elephant tee-shirt in their gift shop and a Think Pink cocktail offered at the hotel’s Brant Point Grill. At The Wauwinet, beloved TOPPER’S restaurant will also be offering pink cocktails and cupcakes. And, as a special surprise to guests, each night at turn-down there will be a little pink treat on the pillows. 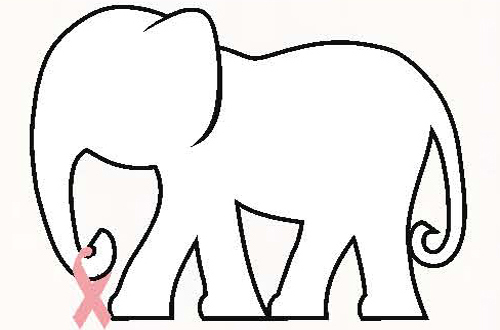 You’ll also notice that Trunket, the White Elephant’s mascot, will be dressed in pink! Collect a pink ribbon at the White Elephant’s front desk during October to join Trunket in announcing his support to make strides against Breast Cancer. Look for other pink amenities at the White Elephant Hotel Residences and Jared Coffin House such as pink lemonade and sweets like candy and cookies. New York, NY – Sensitive and overly reactive skin is often the result of the breakdown of the skin’s natural defenses. To relieve and combat the side effects of sensitive skin, Guinot has introduced the Hydra Sensitive Face Mask, an in-depth treatment that immediately works to reinforce the skin’s natural defenses while also calming and soothing common irritations such as tingling, pulling, heat, and redness. - Vitamin E and sweet almond oil work to immediately strengthen and reinforce skin, specifically developing the skin’s cutaneous barrier function and the hydro-lipid film to fight off the effects of external aggressors, such as UV radiation, pollution and micro-organisms, as well as internal causes of sensitivity, such as stress. - Lymphokinine complex, made of chamomile extract, oak, and Epaline (a fatty acid), works to calm and soothe irritation deep beneath the skin’s surface. - Centella asiatica plant extract, an herbaceous plant found in India, Sri Lanka, northern Australia, and Indonesia, also works to calm and soothe irritation from within the deepest layers of the skin. Use once or twice a week by applying a thick layer of the mask to a perfectly clean face and neck. Leave on for 10 minutes and then remove with a makeup removal pad and apply toner. The Hydra Sensitive Mask is available in a 50 ml tube and is priced at $39. Guinot products are carried in over 1000 spas and salons within the US. 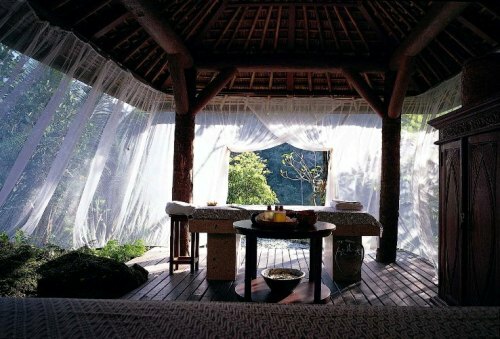 To locate a spa, visit www.GuinotUSA.com.